To kick off our 12 Days of Giving, a list that is near and dear to my heart: books for babies. My newest nieces are 2 years old and 2 months old, so I've certainly kept my eyes open for great board books to give them. Here are my favorites! 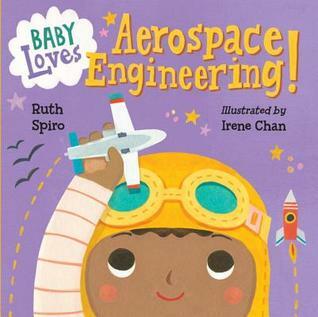 Baby Loves Science series by Ruth Spiro, illustrated by Irene Chan (Charlesbridge). 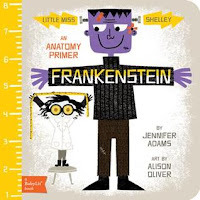 There have been lots of board book science series published over the past couple of years as more and more interest has built in STEM concepts (Science, Technology, Engineering, and Math). This is my favorite science series for babies. I think they do a nice job of introducing very basic science concepts in ways that relate to toddlers and ways that appeal to adults, whether or not the adults have a background in science. Baby's not going to build a rocket right away, but these books are great for introducing vocabulary and starting with the building blocks of science to make these concepts less daunting later on. BabyLit series by Jennifer Adams and Alison Oliver (Gibbs Smith). Chances are you have seen this series somewhere - they've been popular for years. Each board book is based on a classic tale and boils it down to concepts that babies can learn and that literature-loving parents will be entertained by. Frankenstein, for example, talks about body parts. The Jungle Book talks about animals. Etc. They might seem kind of corny, but they are well done and fun reads for both literary-minded parents and growing toddlers. Besos for Baby: A Little Book of Kisses by Jen Arena, illustrated by Blanca Gomez (LB Kids, 2014). This is a sweet book with lots of Spanish words thrown in. Baby gets lots of besos (kisses) throughout this book from all members of the family. Jane Foster's Colors by Jane Foster (little bee, 2016). If you're looking for concept books, Jane Foster's are some of my personal favorites with her stylized illustrations. She covers colors, ABCs, numbers, and more in her series. These are great for building a little learning library. 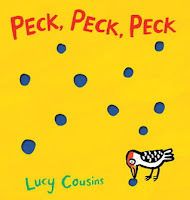 Peck Peck Peck by Lucy Cousins (Candlewick, 2013). This is a new-to-me favorite with a great bouncy, rhyming text and super cute die-cut illustrations. As a baby woodpecker learns about pecking, things begin to get out of control with die-cut holes appearing all over the pages. This one is especially cute as a board book with holes that are enticing to tiny fingers. Peekaboo Morning by Rachel Isadora (Putnam, 2002). 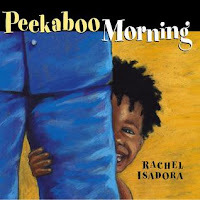 Your little one will love playing peekaboo along with you as you read this book together. Throughout the morning, the little baby sees so many members of the family, so this is a great one to practice naming family members. 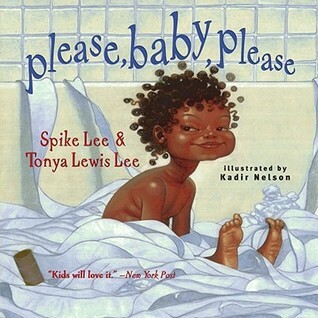 Please Baby Please by Spike Lee & Tonya Lewis Lee, illustrated by Kadir Nelson (Simon & Schuster, 2002). This is a great one for new parents or even older preschoolers ready to laugh at the exasperating things that babies sometimes do. The text is super simple and the illustrations carry the story as baby dumps cereal on her head, draws on the walls, eats sand at the playground, and all the other things active babies might do. Fans of the No, David! books will enjoy this funny and sweet book, too. Quiet, Loud by Leslie Patricelli (Candlewick, 2003). 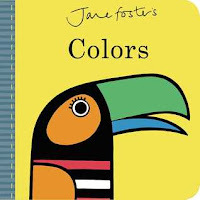 All of Leslie Patricelli's board books are awesome and you can't go wrong with any of them. 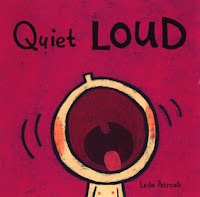 Each explains concepts like quiet/loud, yes/no, bedtime, potty time, and more with cute and funny illustrations. Sharks by the American Museum of Natural History (Sterling, 2017). I feel like the Baby Shark phenomenon is creating an entire generation of marine-animal-obsessed toddlers and I am so on board. If you, too, have a shark-obsessed toddler in your life, this is a great book for teaching different kinds of sharks. It features different species on die-cut pages that are shaped like the sharks they're showing. 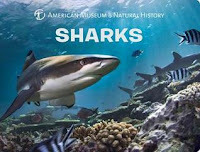 It features real photos of sharks, so perfect first nonfiction for little brains. Pair this with aquarium tickets for an extra super gift. 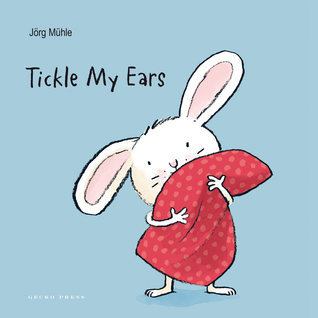 Tickle My Ears by Jörg Mühle (Gecko Press, 2016). This interactive book gives you lots of actions to do together as you put bunny to bed. From fluffing up the pillow to tickling bunny's ears, there is lots to do to get ready for bed. And of course it ends with tucking bunny in and turning out the light. This is a sweet bedtime story that celebrates and involves the reader in the bedtime routine. 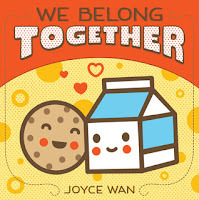 We Belong Together by Joyce Wan (Cartwheel, 2011). 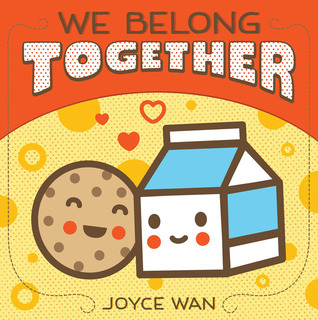 Joyce Wan's sweet board books have adorable kawaii illustrations and messages of affirmation and love perfect to share with your littlest readers. These are books my niece constantly chooses because they're just so darn cute. There's not a story to them, but they're the perfect excuse for an extra hug and a cuddle.